Antiquarian survey map, 18th century. Hand-coloured engraving titled 'The Road from London to Aberystwyth' by Thomas Gardner, published in London in 1719. This map was made by the British antiquarian Thomas Gardner (1690-1769) who lived in Southwold, Suffolk, UK. 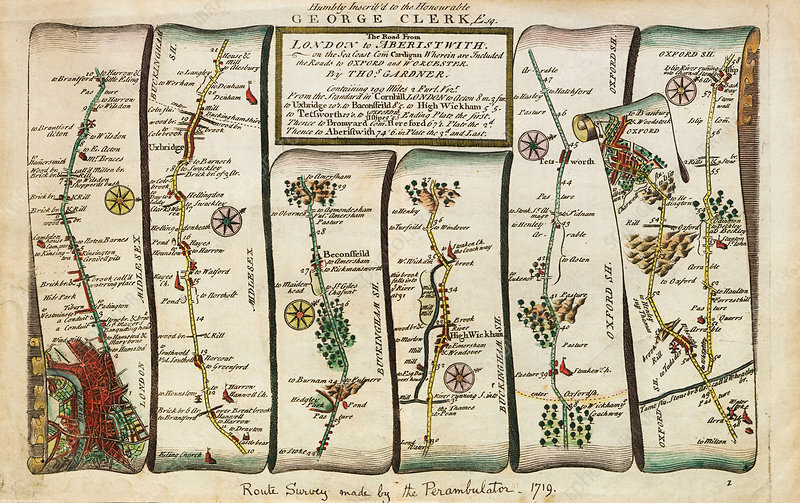 The inscription across bottom states that the route survey was made using a perambulator in 1719.